As you can see, there was a low tide about an hour before sunrise. 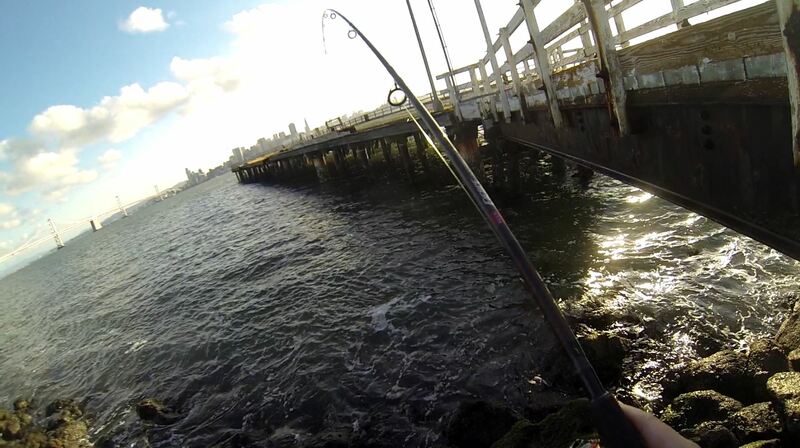 Figured I’d beat the crowd and get there first and fish the tide as it came in. 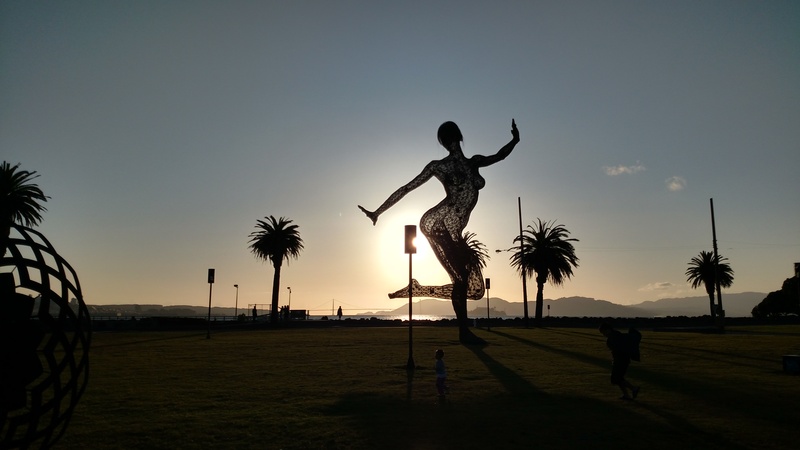 Also the wind was supposed to pick up later in the day, so I thought that was going to be my only opportunity. Turns out I snoozed out and woke up around 12pm instead d= I later went outside to get something from my car and found it was caaallllmmm outside, barely any wind! What the heck forecast! So I packed up real quick, and headed out. Wound up arriving around 5:45 PM. Was surprised as I walked up to find not a single person fishing the old pier. Happily I hopped down on the right side of the pier to try my luck with gulp camo sandworms (surf fishermen report these things working wonders for perch). Didn’t even get a nibble. Not even a NIBBLE. You gotta be kidding me. I used to poke pole with these things and caught rock cod, monkeyface eels, heck even an undersized ling or two with them. At first I was thinking well maybe its just a bad day. It wasn’t flat water, swells were kinda big… But then I thought, no, that can’t be right. Perch live and eat in the beach swells, they couldn’t be happier for this kind of weather since it kicks up food and what not. 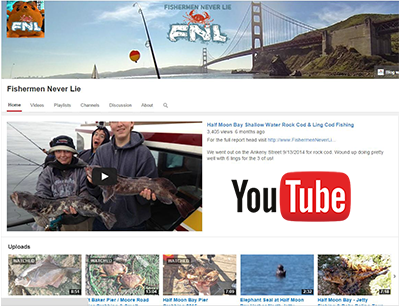 Click above image to visit the youtube channel to see all my videos! Don't forget to please Like & Subscribe! You had to be there, the fish was thiiiiiis big! A watched rod may never bend, but you'll miss a hit if you don't SUBSCRIBE today! 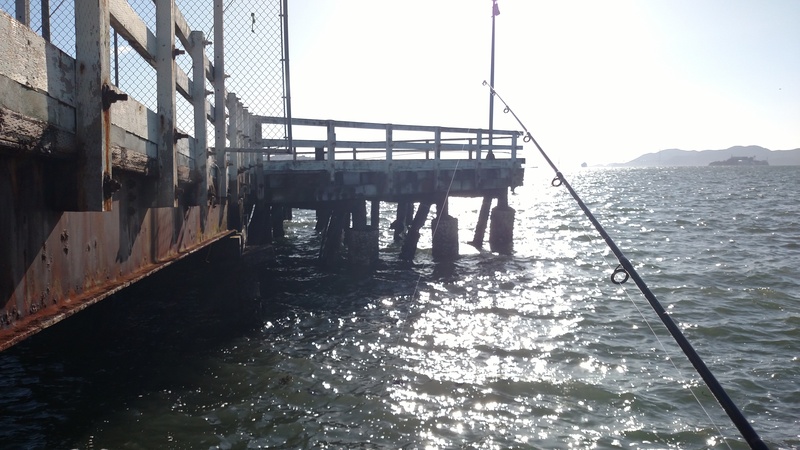 Half Moon Bay Pier Fishing for Rock Cod with Trout Poles! 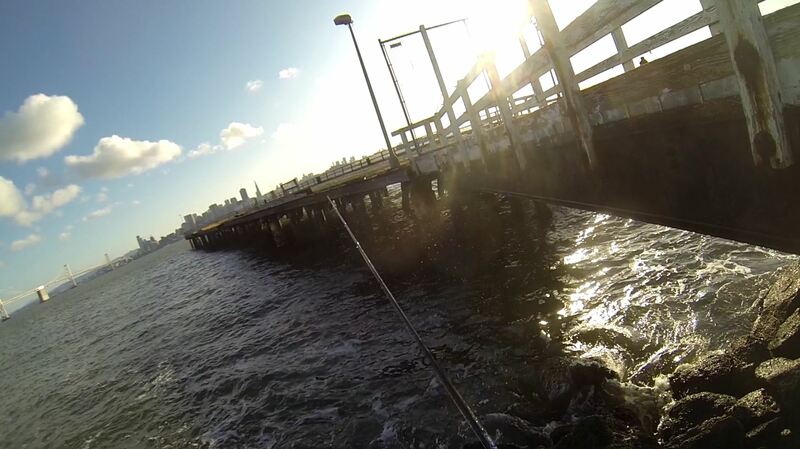 HMB Poke Poling for Eels & Rock Cod!